Lofty ceiling, hardwood floors, modern, antiques, whimsical, impeccable design! This is Aria of London. Visit their wonderful website. Featuring contemporary designers. 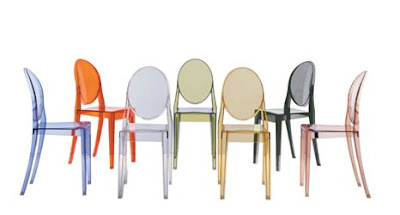 Love the fabulous chairs by Kartell, Victoria Ghost. The perfect partner for Louis Ghost, Victoria Ghost is suitable for use as a dining, ocassional or dressing table chair. 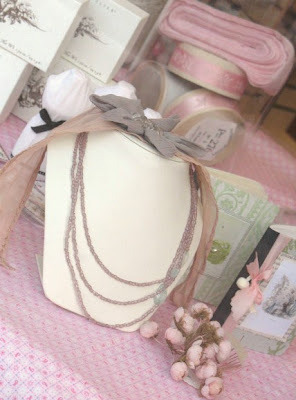 I am back and want to share a fantastic shop called Accessories of Old. It has a fun history that you will enjoy learning about. In 1918, a young man from Lithuania, named Solly Danziger, got off a boat that docked in South Africa. All he had with him was a small suitcase and a few odds and ends that he wished to sell. 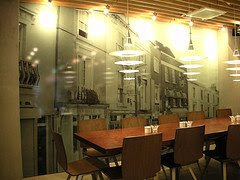 A few months later Solly opened his shop, Danziger’s, in downtown Johannesburg. 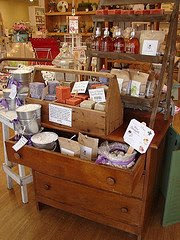 The business took off and Solly stocked his shelves with wonderful notions that he found on his trips to Europe. He bought the best trims, costume jewelry, buttons, and ribbons that he could find. His business was nicknamed by many as “Aladdin’s Cave” since it was filled with anything that could make a designer's dream come true. Many boxes kept arriving and soon Danzigers was the biggest haberdashery business on the African continent …still to this day it is a household name synonymous with quality fashion designer notions and accessories. Solly’s granddaughter, Lisa, at a very young age found it fun to rummage through all the old tiaras, hair barrettes and jewellery at the store. Having returned to South Africa after studying in Europe, Lisa decided to carry on the tradition and join the family business. 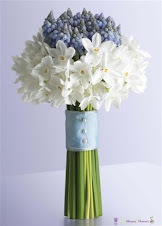 Her father Gerald had joined the business in the 1950's and was running it at that time. Lisa became the third generation to take over and run the business after her father retired. Lisa and husband Andrew left South Africa with their two children and notion collection and moved to the USA to meet the big demand for vintage accessories. Many of the items are being unveiled for the very first time since they were purchased by Solly in the 1920's. Can you imagine discovering all these exquisite pieces? 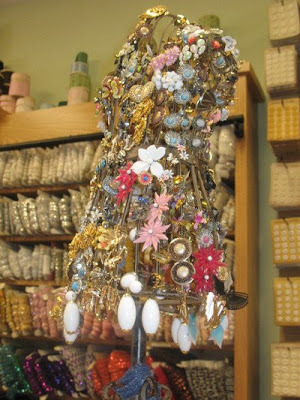 Dress Clips, brooches, ribbons, marcasite items, buckles, trims... What a designer's dream! 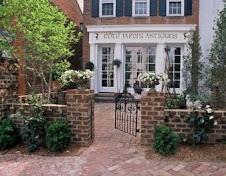 You can visit the bricks and mortar shop in Bethesda, MD (4822 St. Elmo Ave.) or visit online http://www.accessoriesofold.com/. 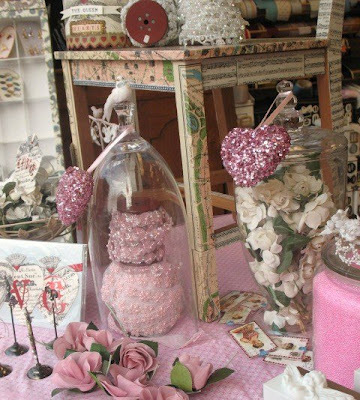 I love these wonderful Valentine displays that Lisa has created in her cute shop. 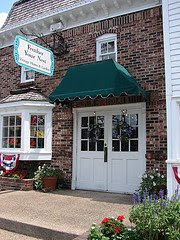 This shop is truly a great find and we are thrilled they moved here to the USA. 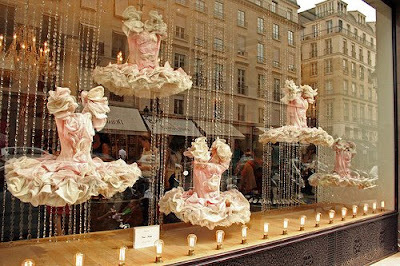 Yes, one goes to Paris to visit the Louvre, Musee D'orsay and the Eiffel Tower, but I also go for glorious window shopping. 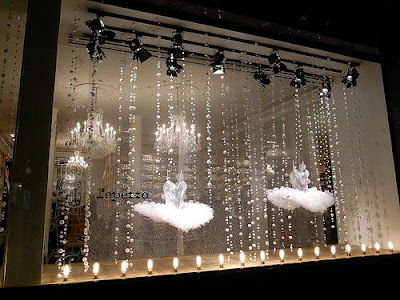 The vitrines are spectacular and breathtaking. A visual delight around every corner. 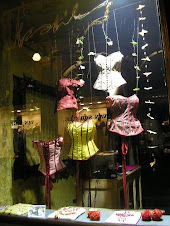 My post today is about an institution in Paris. 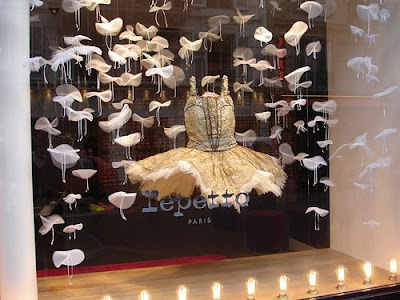 Repetto. I want to thank Kathy, Olivier, Gourmandinage, and Jessica for submitting their scrumptious pics, which perfectly captures the uniqueness of this cute shop. Please visit their sites and blog when you have a moment. You will get lost for hours! 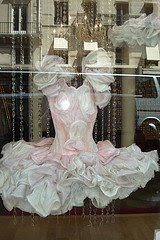 Tutus and pointe shoes have fascinated me for decades. I was one of those who owned the ubiquitous poster of the leg warmers and tattered ballet slippers. 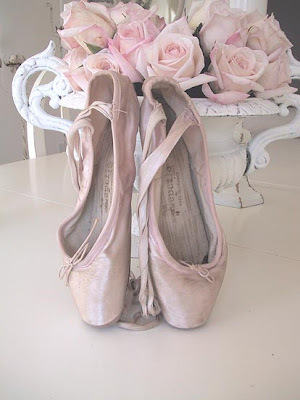 There is something so special about a pair of ballet slippers. I bought white satin slippers from a local dance shop when I was a teenager and I wore them all the time...even wore them with my wedding dress. 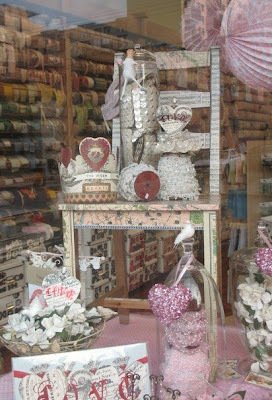 I remember seeing a shopkeeper in Frankenmuth, Michigan, wearing a pair of black ballet slippers as she worked the gigantic loom in her cute shop. It was an enchanting image. 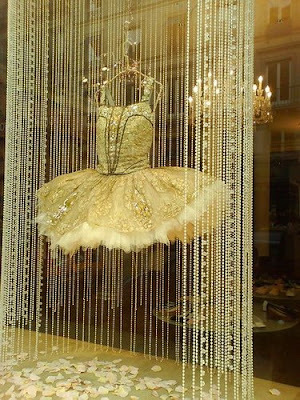 So, Repetto...here is the story. In 1947, Rose Repetto, started creating ballet slippers for her son who was a famous ballet dancer and choreographer in France. From her little studio, she began making slippers for many local ballerinas. In 1956, Brigitte Bardot, asked Rose to make her red fashion slippers for the film, And God Created Women. Those crimson ballerina flats pushed Rose into the fashion stratosphere. She created ballerina-inspired shoes that became the rage for a very long time. 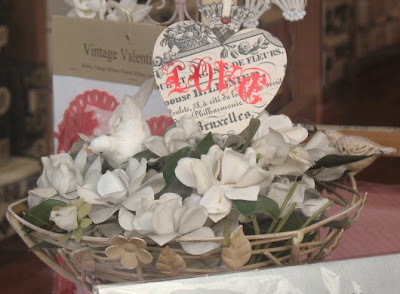 In 1959, she opened her first cute shop at 22 rue de la Paix, where it still is today. 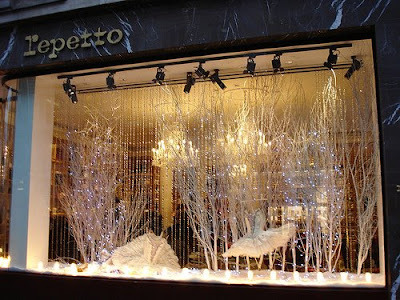 Repetto was the place where all the prima ballerinas went for their slippers and pointe shoes. After Rose passed away in the 80's, Repetto struggled for a few years until Reebok guru, Jean-Marc Gaucher, purchased the riddled company in 1999. Repetto still makes slippers for dancers using the traditional hand made stitch and returned method, but today, Mr. Gaucher has created a reputation for stylish footwear beyond the dance floor. Kate Moss, Charlotte Gainsbourg, Catherine Deneuve, Céline Dion, Sarah Jessica Parker and Hillary Clinton all wear the newly designed Repetto. The shoes are inspired by dance styles such as tango and salsa and have a vintage appeal. If anyone has a pair of Repetto shoes, I would love to hear a review. I can only imagine that they are extremely comfortable considering the foundation is made to handle hours of dancing. 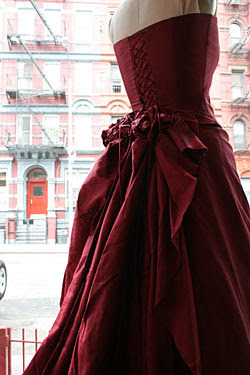 The Repetto website is charming - http://www.repetto.com/. And, next time you are in Paris, check out Musee D'orsay Degas collection of dancers. Fabulous! 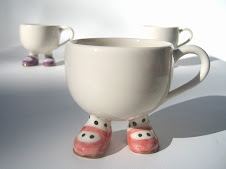 One of my good friends, Janet Clayton, had a Christmas tea for a small group friends. It is always a treat to check out her vintage style home. This year I spotted a French chair tucked in a corner, her newest find from Urban Farmhouse. It's a luscious chair that could easily be found in a fashion designer's atelier...it reminded me to blog about Angelo Lambrou's atelier in the eclectic East Village, New York City. Mr. Lambrou’s work encompasses deconstructed beaded wear, evening wear and alternative bridal wear. Detail is paramount. 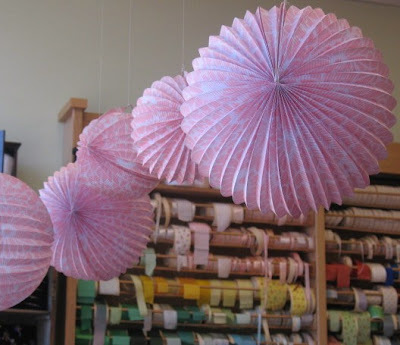 He cuts fabric with precision, allowing his signature style to flow softly and elegantly over curves. Each garment is lined with silk chameuse and many hand sewn with Indian and crystal beads. Inspired by his Mediterranean and South African background, he loves worldly, lavish fabrics and is noted for his bias cuts - details like wispy, almost nonexistent shoulder straps and airy, asymmetrical silhouettes have created quite a following. 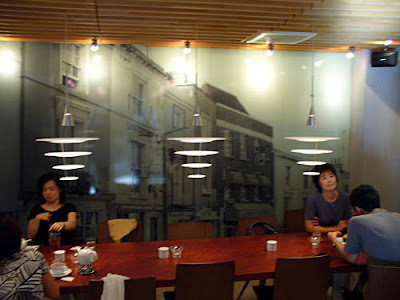 Clients gush over the hospitality they receive from the friendly designer and staff. Some have reported hugs and a glass of vino in the private salon. 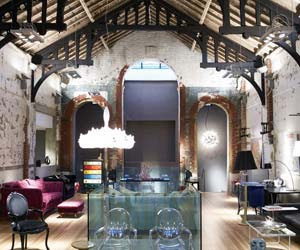 Among his list of clients are Goldie Hawn (love her! ), Selma Hayek, Alyssa Milano who have been showing up on the red carpet in his fluid and tailored lines. Angelo Lambrou is an emerging star. He attended the highly competitive Leggats Academy of Fashion in Johannesburg and also studied at St. Martins in London . 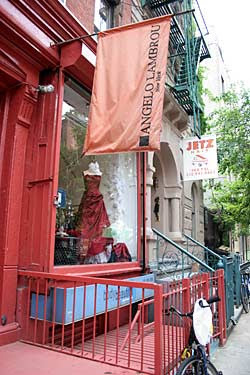 The NYC atelier opened in 2000. 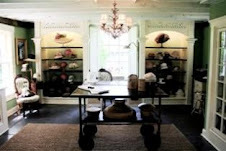 I love the dreamy interior of this cute shop as well as the inviting European facade. When you have a moment check out http://littlewinterbride.blogspot.com/2008/04/our-little-winter-wedding-in-gramercy.html. Love this blog! 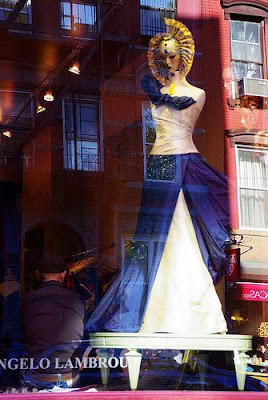 - initially I thought her dress was from Angelo, but Didi said she got it in SOHO at Morgane Le Fay. You will love her pics! Feather Your Nest made the cover of Romantic Homes this year! 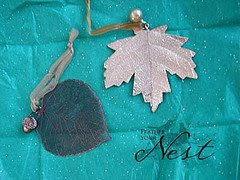 I have been collecting fallen nests since I was a little girl. 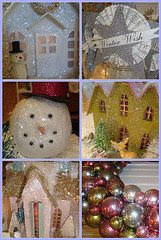 I am fascinated by all the hard work that goes into making those special cozy houses. 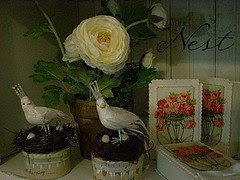 So, naturally I was delighted when I learned about a cute shop called, Feather Your Nest, located in Eureka Springs, Arkansas. 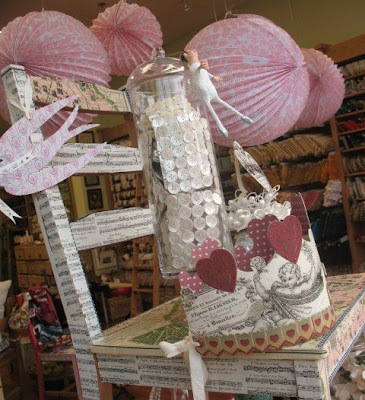 Gina Drennon, the creator and founder of this enchanting concept is an amazing spirit. 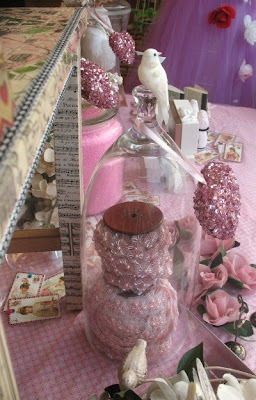 Her carefully curated vignettes are whimsical, romantic, jolly, cozy, quaint and unexpected. 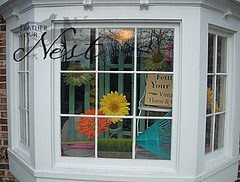 Feather Your Nest opened in 2003 in the tourist resort area of Eureka Springs, Arkansas. 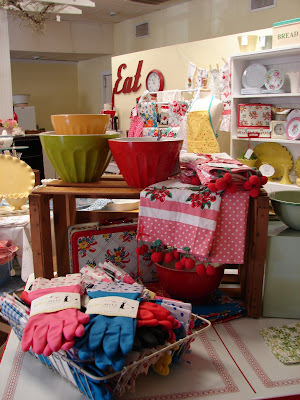 Gina founded the shop as a way to combine her passion for vintage and unique gifts. 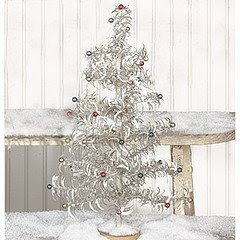 She has fun with her inventory and does an impeccable job selecting lines that helped her garner a reputation as being the place to go for that perfect gift. The locals are loyal to Gina returning frequently to view her ever-changing offerings. Tourists return year after year to stock up on their favorite finds for their nests. Gina stays abreast of trends in design and decoration so have fun shopping on her exciting website, which she created and maintains. That is a full time job right there! Gina is also a marketing guru and has been featured in numerous high profile magazines, including the November 2005 issue of In Style as one of “The Best of the Web” and most recently the “Shopkeeping” section of Romantic Homes Magazine. This shopkeeper works hard! And, she is ALSO a wife to Mike and mother to Avery and Carter. 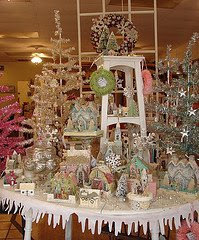 I had many pics to select from, but stayed pretty much with the holiday theme since I am in the Christmas spirit. 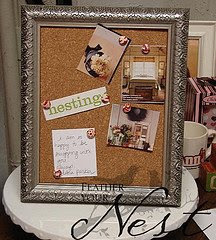 Visit her site at http://www.shopfeatheryournest.com/ to see more pics or visit her photostream at http://www.flickr.com/photos/featheryournest. 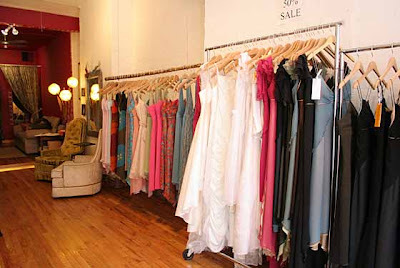 I love the word boutique. 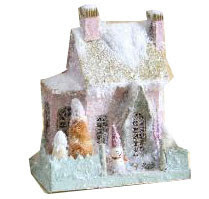 It conjures up images of quaint inns and nooks with luscious merchandise. Being a foodie, it is fun to stumble upon a boutique food store where all the items are displayed like works of art. I ounce found a boutique berry shop in Paris where fresh raspberries and blackberries were the sole focus. The berries were on pedestals and had lovely foliage tucked in around them. Exquisite! 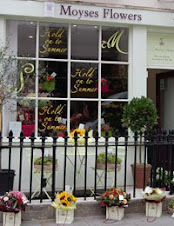 Unfortunately, that was pre cute shop blog and I didnt save the contact info. 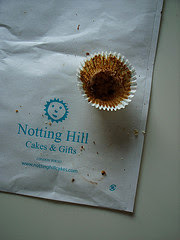 But, I do have a wonderful boutique bakery to share with you. 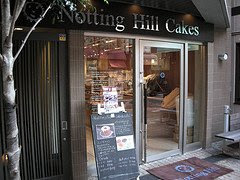 Notting Hill Cakes in Tokyo. 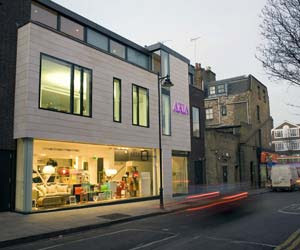 The shop is an architect designed space on two floors, which is both modern and welcoming. 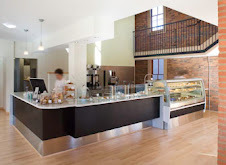 There is a cafe space and a to go counter. 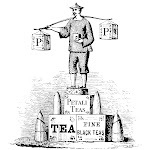 In addition to their cakes, they offer teas, coffees and alcoholic drinks. 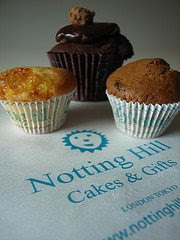 All baked goods are prepared on the premises daily using the finest ingredients. The founders are Mark and Sayeh Peterson. 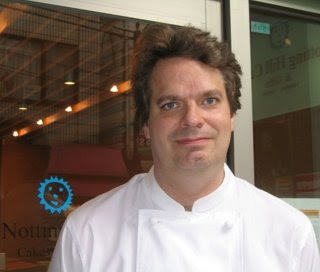 Mark opened his first bakery in London in 1990. He brought his same high standards with him to Tokyo. 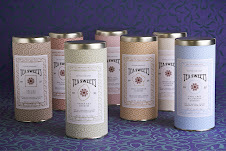 He uses only the very best ingredients such as Madagascar vanilla, 72% cocoa Belgian chocolate and fresh fruits. Everything is baked on the premises by hand in small batches. They have brand identity. Love their logo - is it a sun? A lion? Give up?? It is the view of a cupcake from above. Clever!